This exhibition provides an in-depth look at Romare Bearden’s prints and reveals his preference for improvisation within that medium. This exhibition includes more than 70 collagraphs, etchings, aquatints, lithographs, screenprints, photo projections and monotypes created during a period of 30 years. It represents Bearden’s extraordinary versatility and openness to experimentation. While this is especially true of the collages (compositions made of cut and glued fragments of materials), for which he is best-known, it applies equally to his prints. Impressions & Improvisations is organized into two sections: Bearden’s printmaking processes and his important thematic motifs. Together, these two approaches provide a broad overview of Bearden’s genius as an artist. As a consummate modernist, Bearden’s art is aligned with the process of collage and with the shallow space and flat, fragmented forms of Cubism. Yet his subject matter and dynamic compositions of rhythmic forms and brilliant colors are all his own. All of Bearden’s work engages the African American experience, and he is one of the most important American artists of the mid-20th century. Romare Bearden, American (1911–1988). Jamming at the Savoy, 1980–81. Etching and Aquatint, edition of 180. 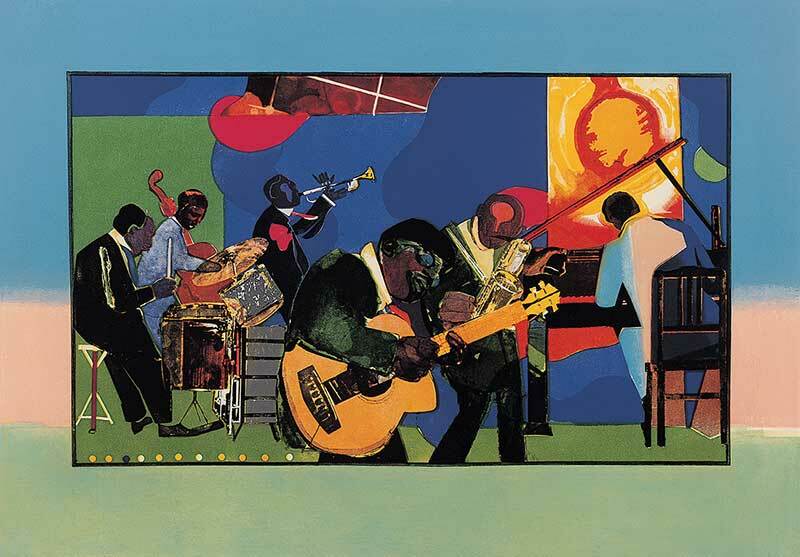 Courtesy of the Romare Bearden Estate; art © Romare Bearden Foundation/Licensed by VAGA, New York, NY. The original exhibition and catalogue title is From Process to Print: Graphic Works by Romare Bearden. The exhibition was organized by the Romare Bearden Foundation, New York, NY. Exhibition Tour Organization and Management by Landau Traveling Exhibitions, Los Angeles, CA. 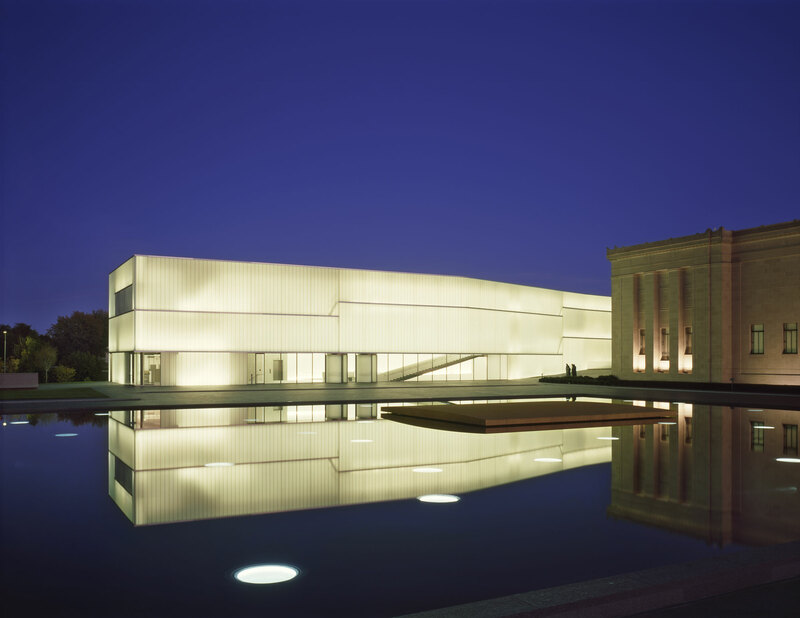 In Kansas City the exhibition is supported by the Campbell-Calvin Fund and Elizabeth C. Bonner Charitable Trust for exhibitions.